How Does Water Quality Affect Aquaculture? Aquaculture has become increasingly popular in recent years, as a way of maintaining a sustainable seafood supply. In aquaculture, maintaining suitable water quality is critical to success. Setting up an effective aquaculture system requires an understanding of the water quality parameters for aquaculture and how they impact marine life. Aquaculture, also known as aquafarming, is the cultivation of aquatic life, including fish, shellfish, and aquatic plants. There are two main subsets of aquaculture. Marine aquaculture refers to the cultivation of aquatic species that naturally live in the ocean, while freshwater aquaculture refers to the cultivation of species that live in lakes, streams, or rivers. Examples of important species raised via aquaculture include catfish, tilapia, salmon, shrimp, and oysters. Over-fishing has depleted the natural supply of fish and shellfish in many geographic locations. Meanwhile, population has increased, which has led to an increased demand for seafood, especially in areas where seafood is a primary source of sustenance. Fish farming helps to supplement the demand for seafood, while allowing natural populations of aquatic life to rebound. Fish farming also helps satisfy the demand for sustainably produced seafood. However, it is important to note that not all aquaculture operations are sustainable. Waste and ecosystem effects can be complicated to manage, and aquaculture operations that are not well managed can be environmentally harmful. Fish and shellfish need oxygen to survive, grow, and reproduce. Low dissolved oxygen levels can cause fish farming operations to fail if fish die or do not grow large enough and reproduce. Why does dissolved oxygen fluctuate? Several factors influence the amount of dissolved oxygen available to fish or shellfish. First, it is important to consider the size of the fish population compared to the size of their habitat. Aquaculture often involves raising a large number of fish in a small volume of water. This artificially created overpopulation leads to rapid depletion of resources, including dissolved oxygen. For this reason, fish farming operations utilize mechanical aeration and other methods to supplement the natural oxygen supply. Microorganism populations also impact dissolved oxygen levels. Some microorganisms, such as phytoplankton, can perform photosynthesis. During photosynthesis, sunlight and carbon dioxide is converted to oxygen and organic matter. This process increases the amount of dissolved oxygen in water. Phytoplankton and other microorganisms also perform respiration, which consumes oxygen and depletes the supply. Fluctuating microorganism populations will alter availability of oxygen based on the biochemical processes they perform. Using dissolved oxygen sensors to monitor dissolved oxygen in aquafarming applications has several benefits. 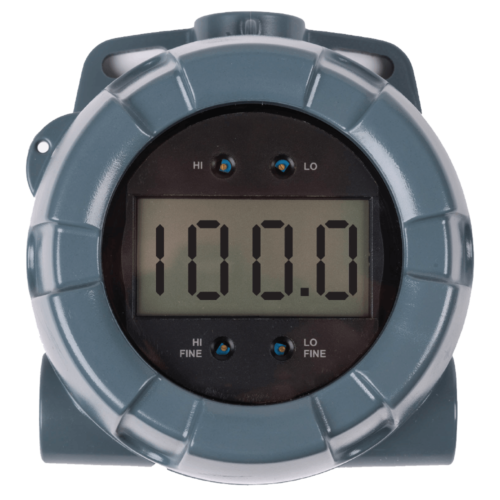 Monitoring allows managers to be notified when dissolved oxygen drops too low, endangering the health of fish or shellfish. Monitoring also provides feedback to control systems, which can automatically regulate oxygen in aquaculture via mechanical aeration. Careful control of aeration systems is critical, because these systems require significant energy expenditure. Optimizing aeration for sustainable growth conditions saves energy and saves money. Like dissolved oxygen levels, pH levels can impact survival, growth, and reproduction of fish. Extremes in pH can lead to fish kills. Microorganism populations that influence water quality may also be affected by pH. Some microorganisms, such as phytoplankton perform important biochemical functions, like photosynthesis. As previously discussed, photosynthesis is an important source of dissolved oxygen. Photosynthesis also reduces the amount of ammonia in water, which protects fish from ammonia poisoning at high concentrations. Maintaining proper pH in aquaculture habitats will ensure that beneficial microorganisms can out-compete other microorganisms. This optimizes ecosystem conditions for fish survival, growth, and reproduction. There are many possible causes of pH fluctuation in fish and shellfish habitats. Water may be become polluted by acid rain or agricultural run-off. Carbon dioxide emissions can also impact pH: when carbon dioxide dissolves in water, the reaction produces carbonic acid, lowering the pH. Some aquaculture operations use buffers and chemicals to maintain a stable and optimum pH. Monitoring pH using pH sensors and transmitters helps determine when it is appropriate to make adjustments. The best pH sensors for aquaculture will have a flat measurement surface, which is self-cleaning for use in water that may contain suspended solids.